@ashfurrow I&apos;ve seen this twice today, once on iOS (oAuth via Toot! App) and once on Safari (Mojave Beta) right now (both machines set to de_DE locale. 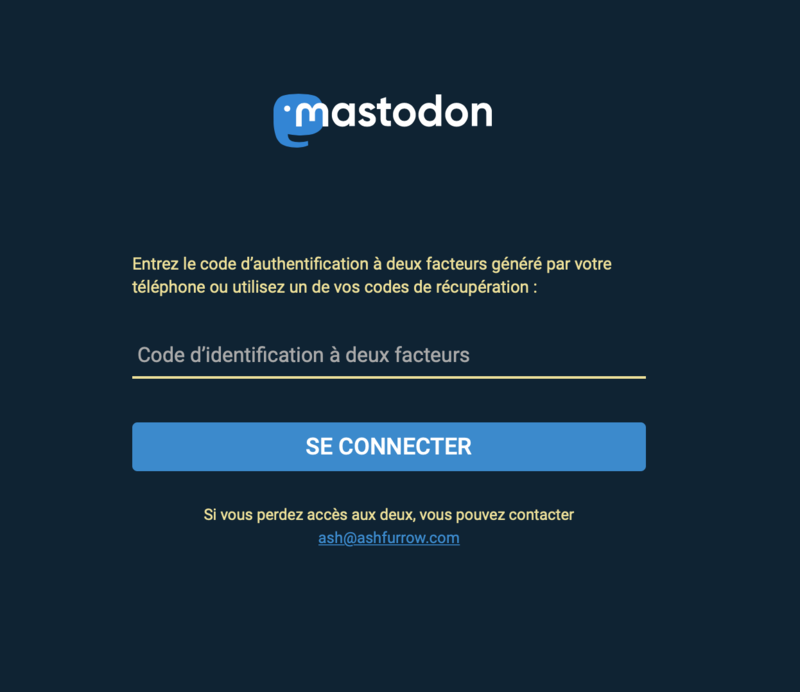 Any idea why my 2FA dialog is French? @marcus this is a long-standing issue with Mastodon, a kind of phantom bug that’s hard to reproduce. I can’t find the GitHub issue right now – I’ll try taking a look later.